TouchMix is quite simply the most powerful, compact mixer ever created. It offers the features, capabilities and sound quality of the world's most esteemed large format consoles in a highly compact and portable package that’s small enough to be carry-on luggage. Perfect for solo and duo musicians, small bands and AV production professionals, the TouchMix-8 goes "Beyond Mixing" by offering Wizards, Presets and other beneficial tools that help both seasoned audio professionals and novices alike get great results quickly and easily. 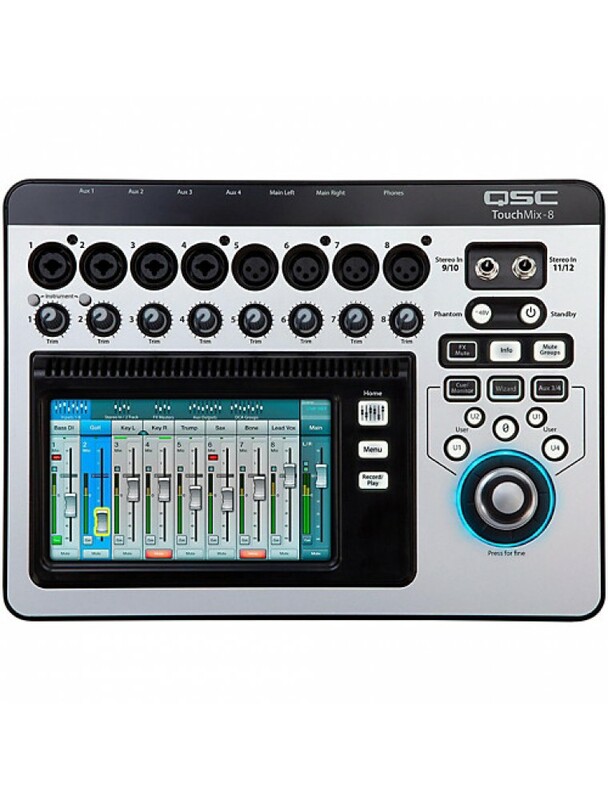 Its 14 mixing channels (8 Mic/Line, 4 Line, Stereo USB) and 6 outputs offer ample signal management ﬂexibility while advanced features such as class-A microphone preamps, Anti-Feedback and Room Tuning Wizards, real-time analyzer (RTA) and 14-channel direct-to-external-drive recording make it equally competent as both a professional live sound or recording tool. The touch-and-turn interface of TouchMix allows for tactile control over fader and mixer parameters while also providing a hardware connection to the mixer. 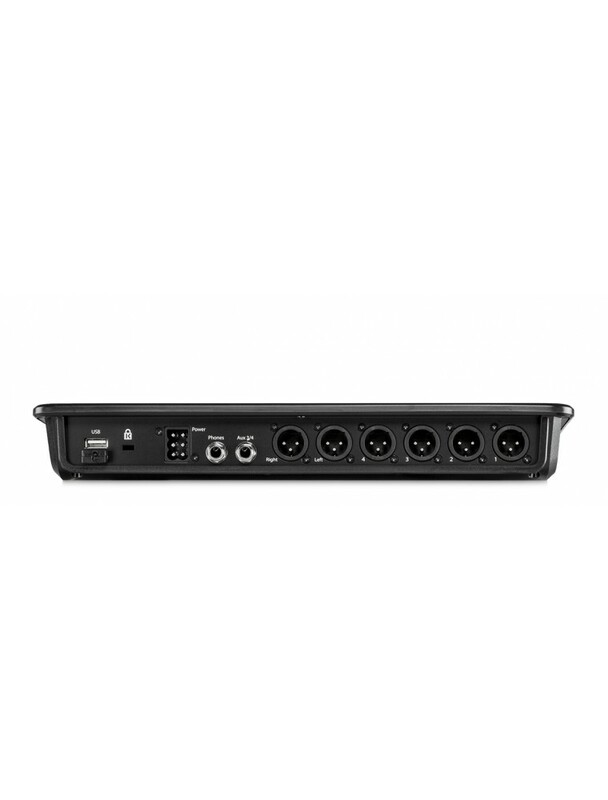 Mixer functions and displays are duplicated via iOS® or Android devices over Wi-Fi, providing both portable, wireless connectivity as well as additional control of mixer functionality. The TouchMix-8 comes complete with USB Wi-Fi adapter and carrying case. TouchMix-30 Control App for iOS® and Android devices controls all mixer functions via Wi-Fi. TouchMix-8/16 Control App for iOS® and Android devices controls all mixer functions via Wi-Fi. TouchMix-8/16 Control App for iOS® and Android devices controls all mixer functions via Wi-Fi.